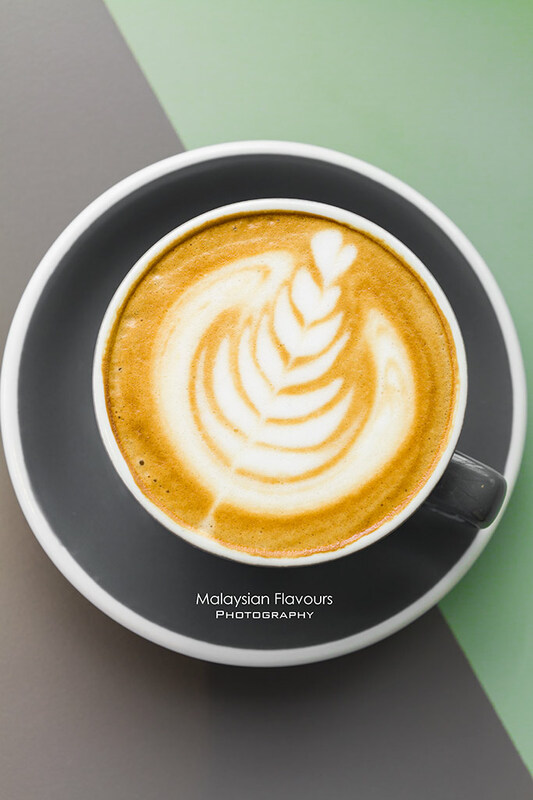 We came across Papa Palheta when sipping a cuppa of Suke Quto by Papa Palheta filtered coffee in Brewmen, Solaris Dutamas, only to realize that it is a well-respected, independent coffee boutique from Singapore. 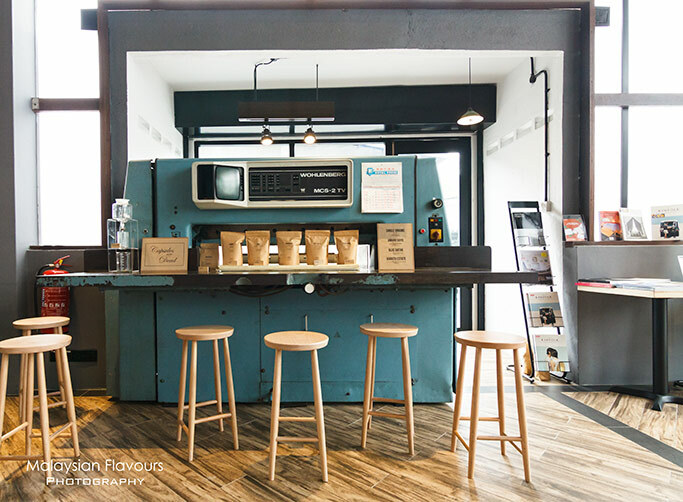 Papa Palheta specializes in roasting and purveying speciality coffee, bringing out the best profiles of beans through unique brewing and roasting technique, using roasters that practise micro production methods. 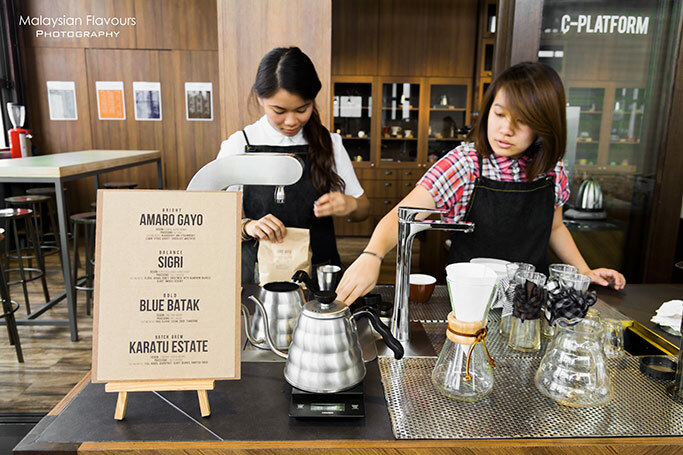 Papa Palheta runs Chye Seng Huat Hardware Coffee Bar (CSHH), the popular coffee place in Singapore that offers 360-degree view of the bar, where you can witness skillful baristas preparing your beverage. 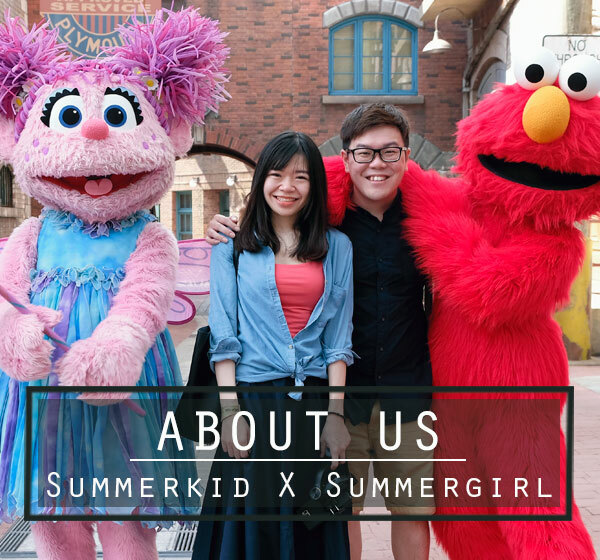 Loysel’d Toy is also managed by people behind Papa Palheta, featuring 1000 Cups blends. The folks finally comes into Malaysia, having Pulp by Papa Palheta (PPP) as their first flagship store in Malaysia. 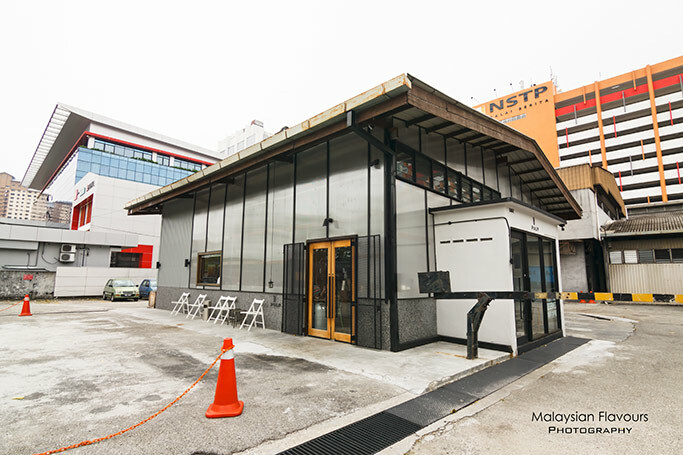 The new coffee place resides within the premises of Art Printing Works, a historical printing plants which is still functions since 1965 in Bangsar, Kuala Lumpur. 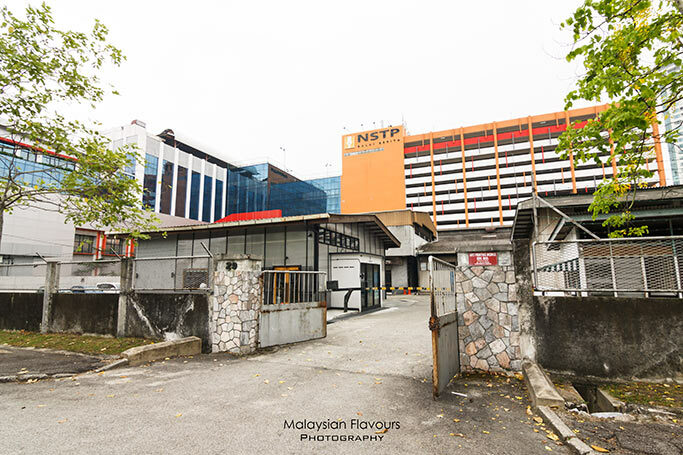 In case you have difficulties locating the store, check out for the bright orange NSTP Balai Berita Building, Pulp is just behind it. 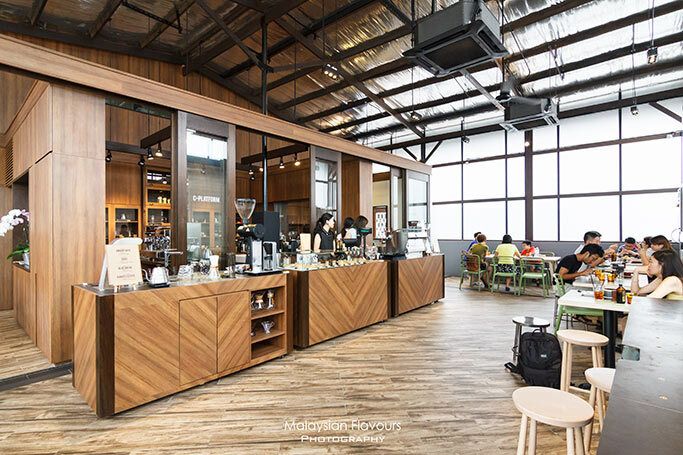 This small independent building appears in all grey from the outside, executed in warehouse concept to create industrial rustic, chic hangout place for coffee lovers. The interior combines a plethora of wood and steel finishing- wooden floorings, wooden tables, wooden brew bar, exposed dark grey pipes and ducts, etc., all draws a colour contrast with the bright red and green chairs. Beverage menu here is direct and straightforward. For espresso base coffee, choose from Papa Palheta special blends- Nuts + Bolts or Throwback. The former delivers hints of grapefruit, nutty and smooth body, while the later falls for a rich, heavy body sensation with dark chocolaty. 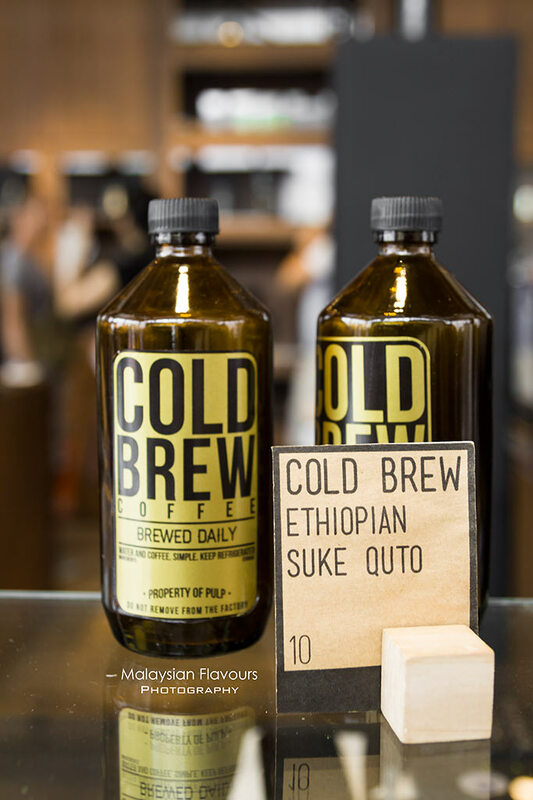 Pulp offers also cold brew coffee, brewed daily from Suke Outo-Ethiopia, Sidamo which sums up citrus acidity, candied sweetness with medium body. Single origins Karatu Estate, Konga and La Minita are available in their hand-brewed coffee list too. Food choices are limited, so do not come with an empty stomach and expect a long list of big breakfast menu, savoury sandwiches or pastas. 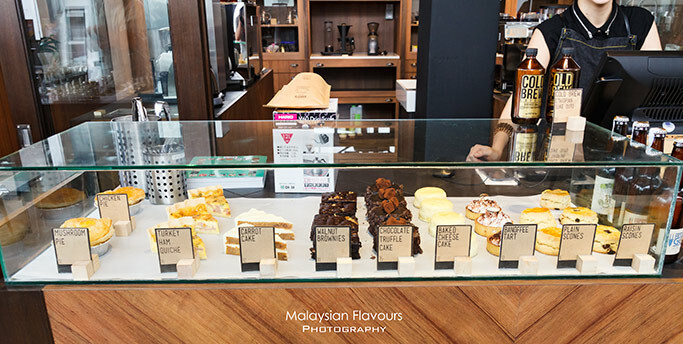 Coffee is the focus in Pulp, do enjoy them with desserts like Banoffee Tart, Chocolate Tart, Plain Scones, Raisin Scones, Baked Cheese Cake, Walnut Brownies and carrot cake. 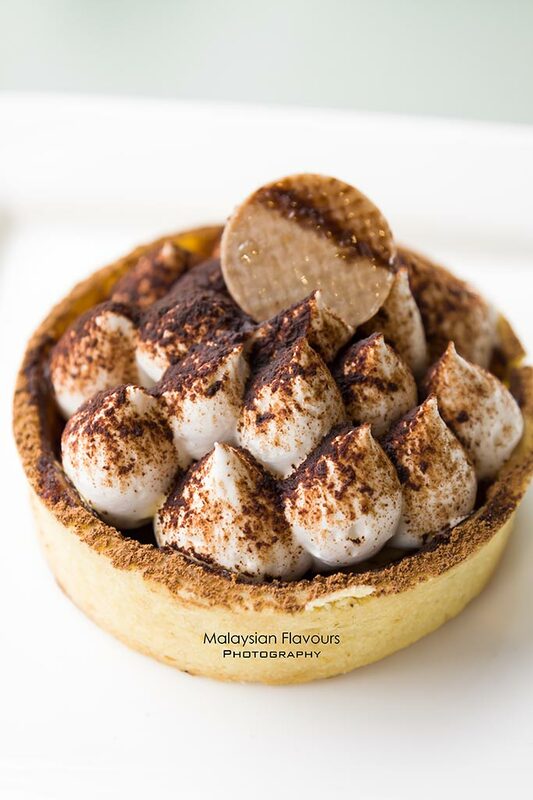 Banoffee Tart doesn’t bring surprise to our palate- Crumbly, buttery crust holding creamy soft banana, topped with pillow soft fresh cream, dotted with chocolate powder.